Former diplomat, magazine columnist, Pacific historian and poet Leilani Tamu from Auckland will spend three months in Hawai‘i writing about “Cultural Diplomacy” for a book of the same name, as recipient of the 2013 Fulbright-Creative New Zealand Pacific Writer’s Residency. 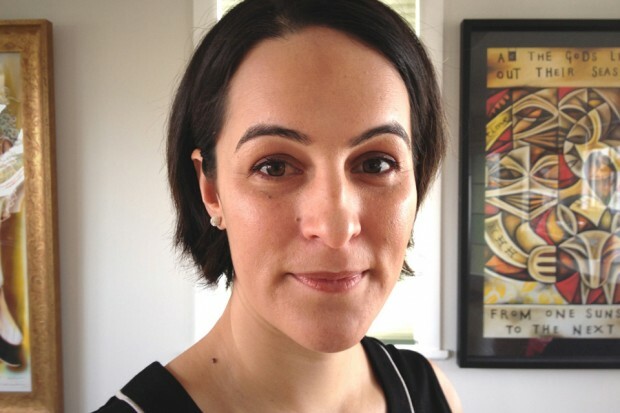 A self-professed “pale-skinned, brown-eyed woman of Pacific Island descent”, Leilani examined her mixed Samoan/Pākehā heritage in an opinion piece for Spasifik magazine in mid-2012, while working as a New Zealand diplomat to the Kingdom of Tonga. Soon after, she was offered a regular column for Auckland’s Metro magazine. In the column “Cultural Diplomacy” she has written about social and cultural issues including racism, unemployment, home ownership and youth suicide. On her exchange to the University of Hawai‘i at Mānoa from September, Leilani will work on a second book of poetry and prose, also entitled Cultural Diplomacy (her first book of poetry is scheduled for release in early 2014). The book will include an exploration of the life of Princess Kaʻiulani, a 19th century Hawaiian princess of mixed cultural heritage who was heir to the throne before the monarchy was overthrown and the kingdom annexed by the United States of America. Born to a Scottish father and educated in England, Princess Kaʻiulani visited the US following the deposition of her aunt as queen to fight for her kingdom and people, and is held up by Leilani as “a great example of a Polynesian ancestor who effectively exercised the art of cultural diplomacy in her time”. The book will also feature dialogue with contemporary New Zealand and Hawaiian poets of mixed cultural heritage, discussing how their heritage has shaped their work. Leilani Tamu is the tenth recipient of the Fulbright-Creative New Zealand Pacific Writer’s Residency, which was established in 2004 to develop and foster closer links between the peoples of New Zealand and Hawai‘i, to increase the profile and awareness of Pacific literature as an art form within New Zealand, and to provide New Zealand writers of Pacific heritage with the time and opportunity to undertake creative and professional development while working on a new project. Previous writers from various genres to receive the award have included filmmaker Sima Urale, poets Tusiata Avia and Daren Kamali, and playwright Victor Rodger.